After battling high temperatures & a summer storm for their engagement session in Philadelphia, & then an amazingly cute rehearsal dinner party, we were pretty excited for Ashley & Justin’s wedding day. We knew we would be surrounded by good people & that the day would be memorable! 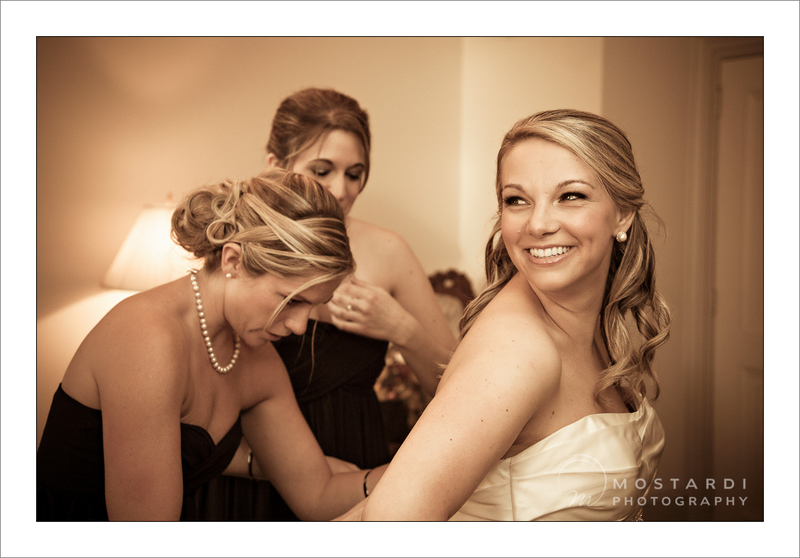 Everybody was getting ready at the church in Media so we started there before the ceremony began. Before we knew it they were running down the aisle after their first kiss as husband & wife. Then the festivities began at The Merion Tribute House. 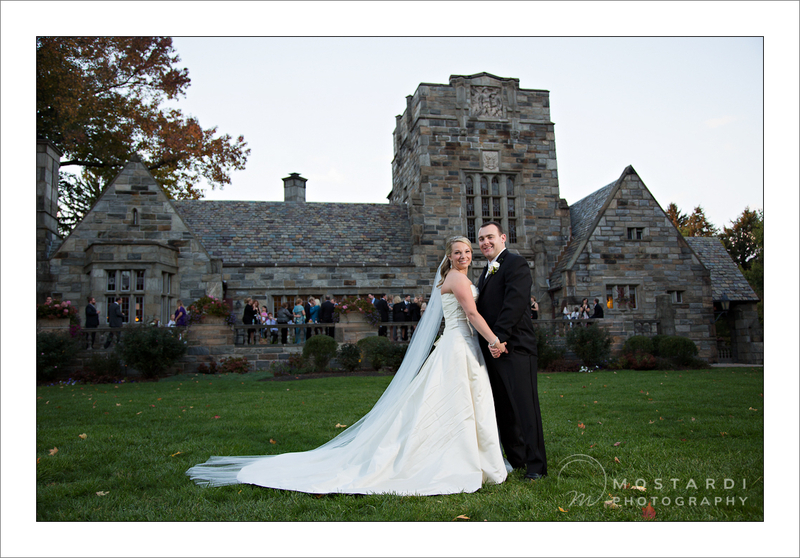 We did a bunch of portraits on their beautiful outdoor grounds before heading into the reception. 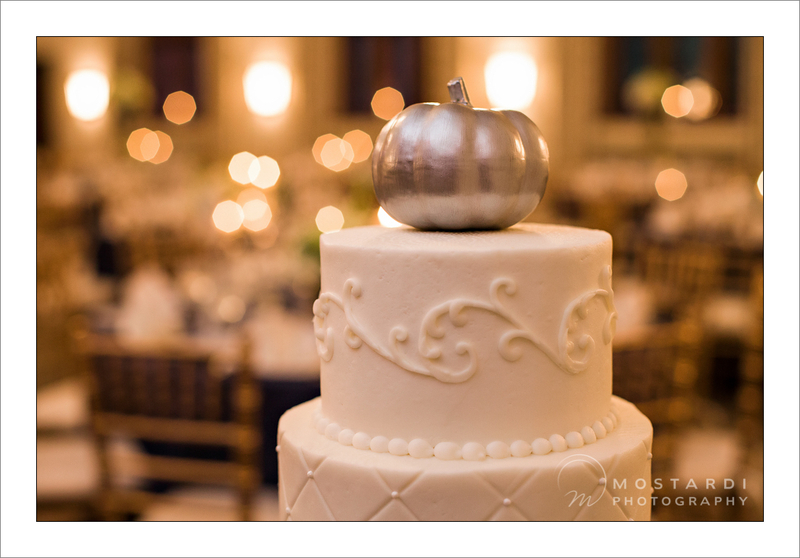 They had the cutest cake from Ann’s Cake Pan with a silver pumpkin on top! 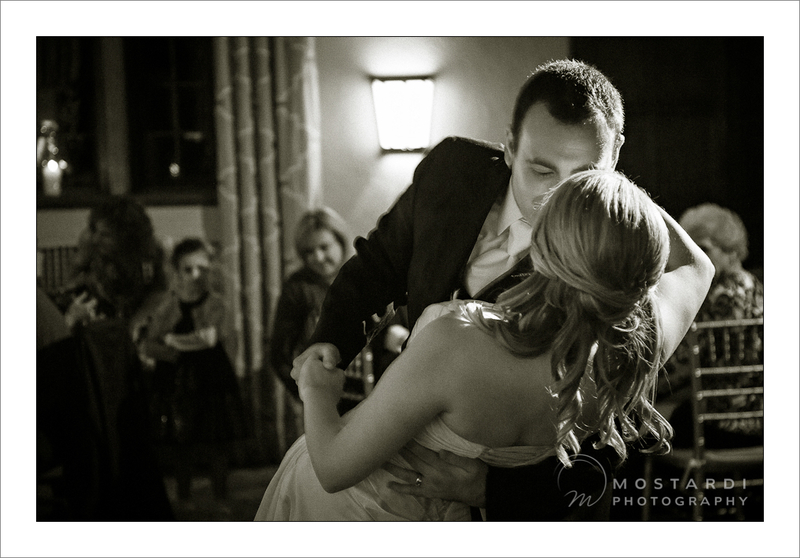 After their first dance a delicious dinner was served & then Silver Sound DJ Dan Breslin was ready to open the floor for dancing! After they cut the cake, Ashley got up in the balcony to throw her bouquet for an extra fun touch. It was a great evening no one there will soon forget. Best Wishes to Ashley & Justin!